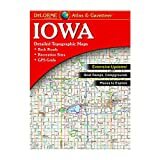 The durable and convenient Iowa EasyToFold state map will take all the wear and tear your journey can dish out. The heavy-duty laminated design allows you to mark your route, make notes, then wipe the surface clean for further use. This is a must-have for navigation whether you're a state resident or just passing through. Rand McNally's Easy To Read State Folded Map is a must-have for anyone traveling in and around Iowa, offering unbeatable accuracy and reliability at a great price. Our trusted cartography shows all Interstate, U.S., state, and county highways, along with clearly indicated parks, points of interest, airports, county boundaries, and streets. Are you planning your next vacation abroad and you’re ready to explore? Do you want to be prepared for everything? Are you ready to experience every new place you visit just like a local? 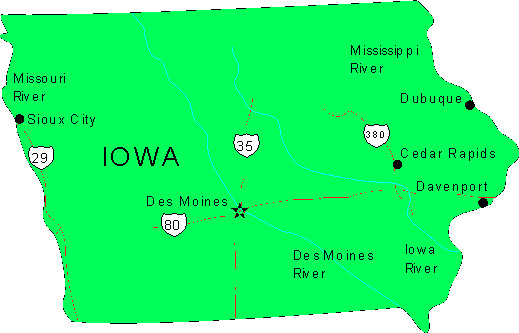 Well, with this amazing Des Moines, Iowa (USA) travel map you’re all set and ready to go! 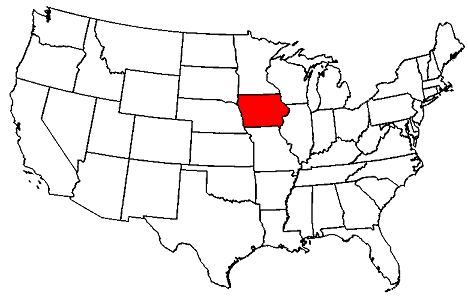 The Des Moines, Iowa (USA) map was carefully designed to give you amazing results and make traveling easier than ever. We make sure to constantly update our info to give you the most relevant and accurate information, so you will never get confused or frustrated during your Des Moines, Iowa (USA) trip. 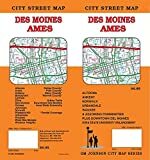 The map is very detailed and it will not only give you all the available roads and routes, but also the essential information to make your Des Moines, Iowa (USA) vacation unforgettable. In the Des Moines, Iowa (USA) map you will also find the best places to go shopping, the most famous and must-see sights, churches and more. The newly updated Iowa Fishing Map Guide is a thorough, easy-to-use collection of detailed contour lake maps, fish stocking and survey data, and the best fishing spots and tips from area experts. Fishing maps, detailed area road maps and exhaustive fishing information for lakes and streams across the state are provided in this handy, 240-page, 8 ½ x 11 spiral-bound volume. Featuring Bernie Barringer fishing Iowa's lakes and rivers, you'll discover waters large and small: Okoboji, Spirit, Storm, Clear, Saylorville, Osceola, Icaria, Red Rock, Rathbun, Coralville, Rock Creek, Mississippi River, state park lakes and northeast trout streams - Over 200 lakes and rivers in all! Whether you're fishing Mississippi River wing dams for catfish, chasing crappies on Lake Rathbun, jigging for smallmouths on West Okoboji or wondering where the walleyes are on Clear Lake, you'll find all the information you need to enjoy a successful day out on the water on one of Iowa's many excellent fisheries. Know your waters. 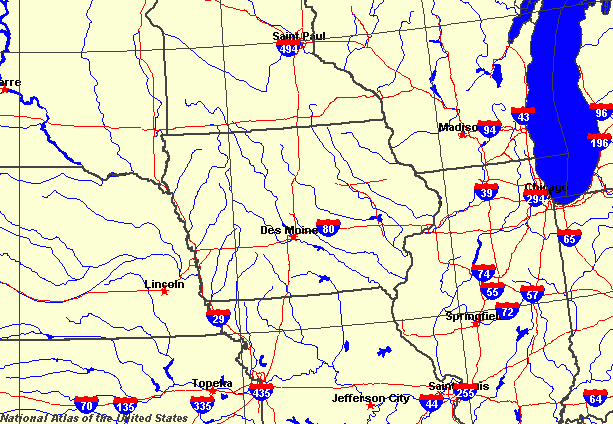 Catch more fish with the Iowa Fishing Map Guide.